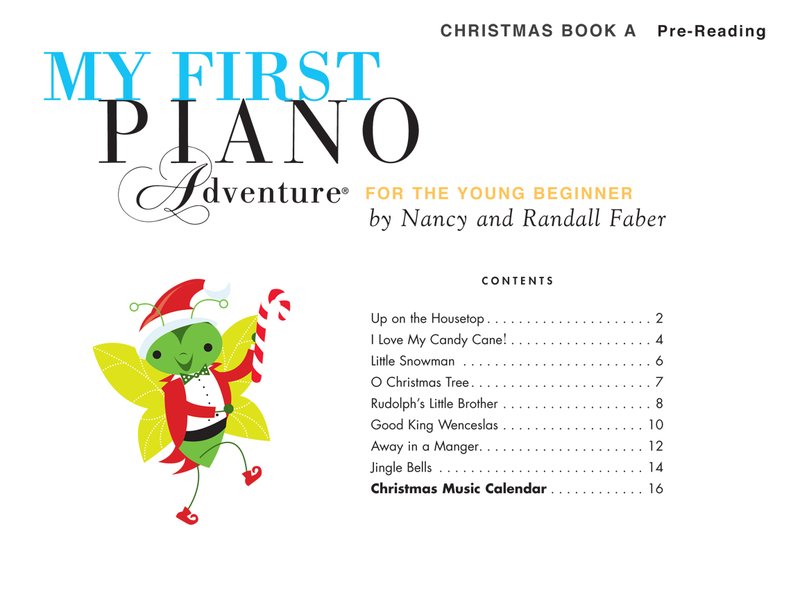 Treat your pre‐reading students to an adventurous first Christmas book! 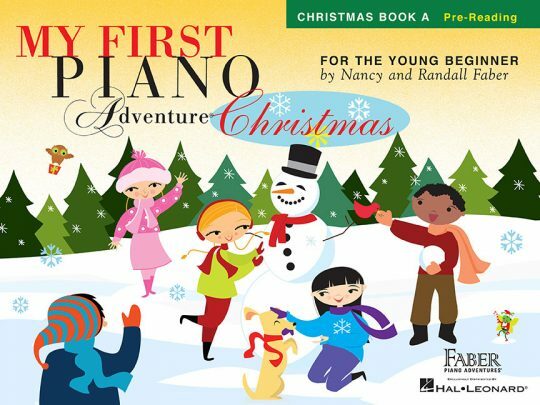 Young players will be delighted with familiar carols such as “O Christmas Tree” as well as new favorites including “Rudolph’s Little Brother” and “I Love My Candy Cane!” The My First Piano Adventure® “friends” make snowmen, ride a big sleigh, and enjoy candy canes together. 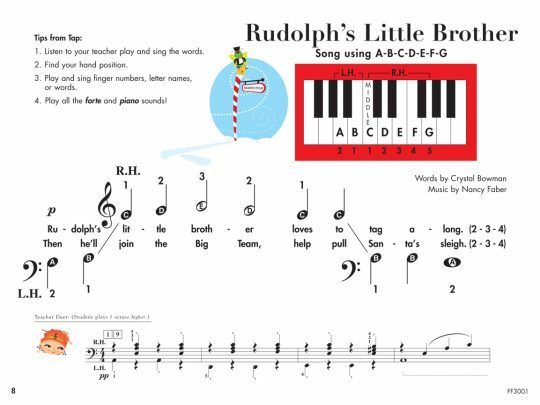 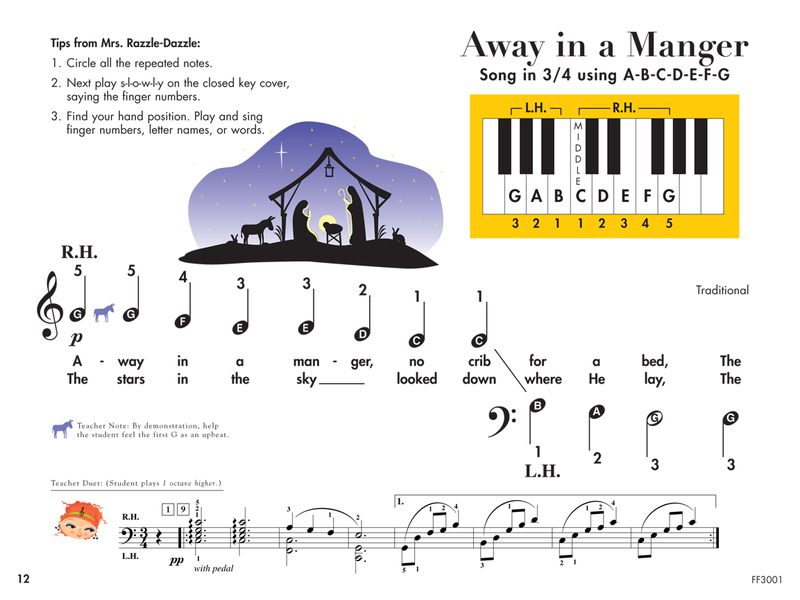 First players will benefit from the clean presentation of pre‐reading notation and festive teacher duets. 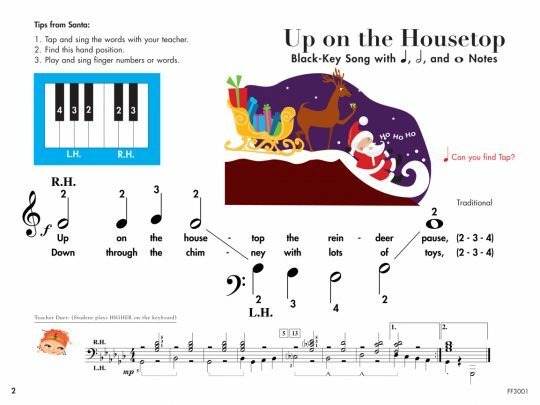 The Christmas Music Calendar encourages students to count down the days until Christmas!